For many of us, our pets are part of the family. There are our companions, our best friend! Spending quality time with your furry friends can have a positive impact on your mood and health. 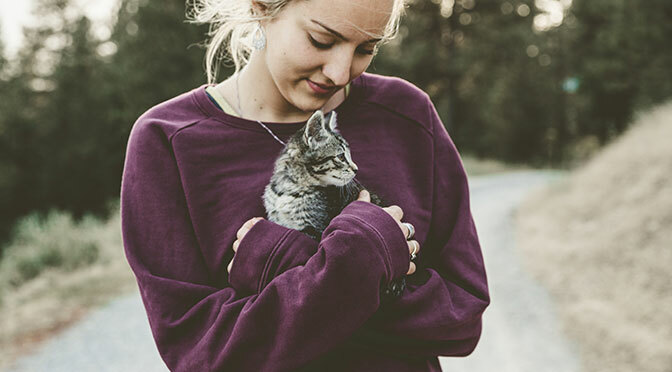 Pets can be calming stress fighters. Research shows pets can lead you to have a healthier heart and lower your blood pressure. People with pets are generally happier, more trusting, and less lonely than those who do not have pets. They also tend to visit the doctor less often for minor problems. One reason may be that your pet gives you a sense of belonging and meaning. Babies raised in families that have pets may be less likely to get allergies and asthma. Also, studies have proven that kids tend to relate better to their classmates and other children with autism when there are pets in the classroom. HCCUA has partnered with Pet Assure so you can start saving on your pet care needs immediately! Remember, your Pet Assure® Benefits cover all of the pets in your household. 10%-30% off on pet supplies and specialty items from thousands of participating merchants and service providers! 25% off all medical services each and every time you visit a participating veterinarian from Pet Assure’s® network! * Our Pet Club has participating practices in all 50 states, Washington DC, and Puerto Rico so you are protected right at home or while you are away. With Pet Club, you receive your discount in the vets’ office. There are no hassles like claim forms or deductibles and remember, no pet will ever be excluded! You can enroll any pet, any age, and in any health condition, even those with pre-existing conditions. Free enrollment in 24/7 Pet Assistance Locator Service (PALS Tag). This recovery service has reunited thousands of lost pets with their families. Anyone who finds your lost pet simply calls the 24/7 Pet Assistance Locator Service. They go right to work calling you at your home, office, cell phone and every other emergency contact you have provided until your pet is safely returned. Log in at the top of the page to access this benefit. *Food and flea products you take home, non-medical boarding and grooming, and any outside services (such as lab work) are at the veterinarian’s discretion to discount or not, but may be available at a discount from another participating retailer.